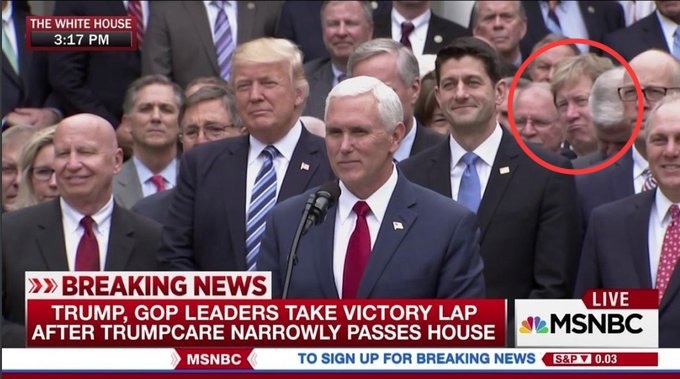 President Trump had a incredible doppelgänger in his midst at Thursday’s White House press conference on the narrow passage of the House Republicans’ healthcare bill, which now goes to the Senate. In case you can’t find him, we’ve circled him for you. And by the way, it’s Rep. Jason Lewis (R-Minn.).